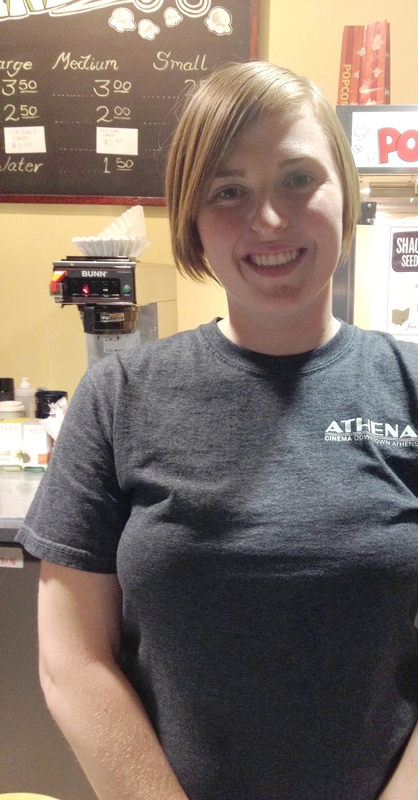 Julianne has worked at the Athena for one year. This is her second AIFVF. When asked what makes the Athena Cinema different from other theater experiences, she talked about the opportunity to show movies that people would never get to see. Not so much that the films are unattainable, but that people would not think to look for them. The festival is a fun time for the Athena crew as well. The festival draws in more people but most importantly it offers free movies. The festival provides opportunities for independent filmmakers and audiences alike, which Davis has not seen at other theaters. Davis says she really enjoys the Special Events that the Athena showcases throughout the year. Her favorite was the Zombieland screening for Halloween last fall. 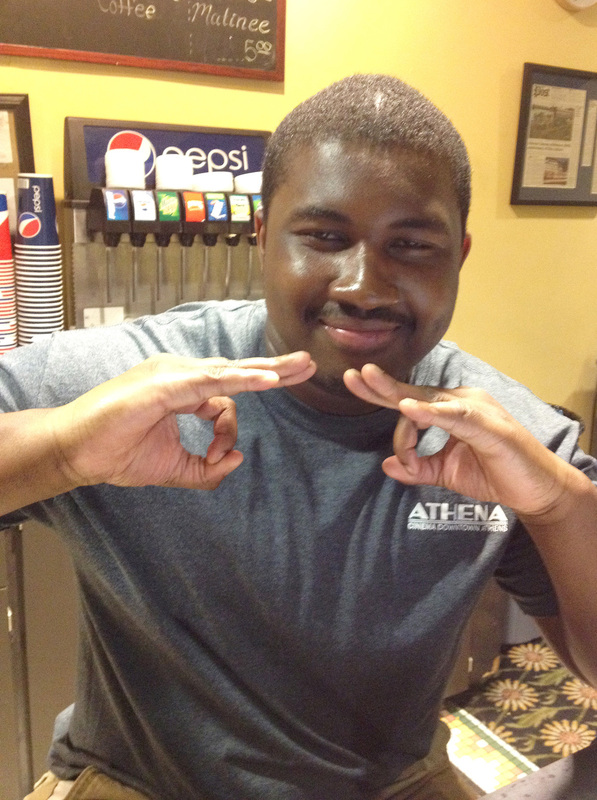 Glenn has only worked at the Athena for three months but is excited to be working at his first AIFVF. “Free movies to students—I dig it!” he says. The Athena is unique in that it provides many opportunities. The festival is “busy but exciting” and well worth the time. 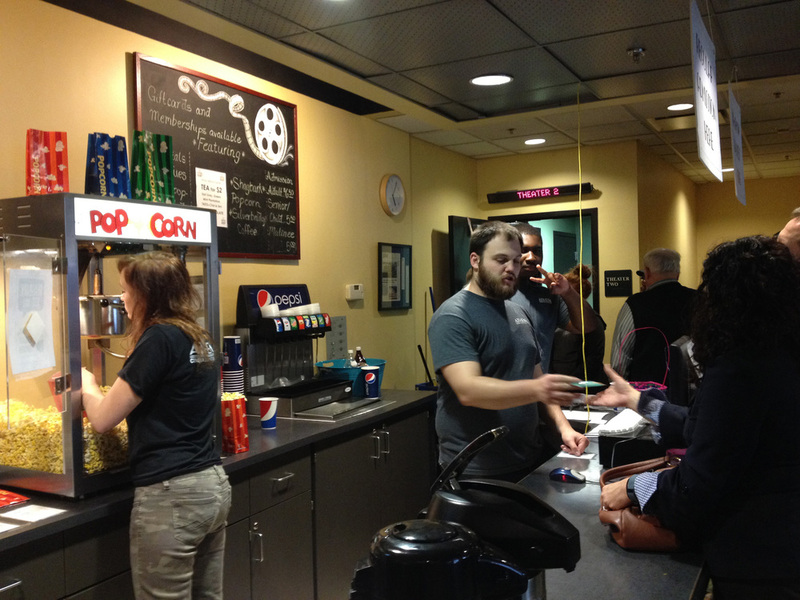 The festival brings filmmakers, students and “townies” (local Athens natives) together and it is a “different kind of experience” for going out to the movies. He really recommends the Athena’s $4-Tuesdays—all movies for only $4! The Athena Cinema is awesome, and is a close-knit family. Sean Rickey (Senior, Photography + Integrated Media) has been “popcorn-slinging” since 2010 and it has been the most fun. The Athens International Film and Video Festival can never come soon enough. But the Special Events keep the Athena alive and fresh throughout the year. If you have not made it out to the festival this year there are still screenings through the end of the day Thursday, April 9th. And be sure to say hi and thanks to all of the wonderful student workers of the Athena!